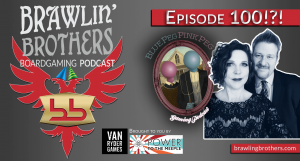 This episode is brought to you by PowerMeeps.com and Van Ryder Games. It’s that time of year again – VOTE FOR US in the BGG Golden Geek Best Podcast of the Year contest! Josh is attacked by tumbleweeds and Brandon receives a box full of Pitch Car goodness! 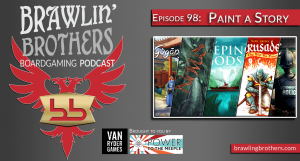 We talk about the long standing Age of Steam disagreements, unveil the 13 hour game that is Here I Stand, dig deep into Skull King and Brandon breaks the hearts of many calling Teotihuacan “overrated”. Kickstarter is HOT right now – Check out our thoughts on Overbattle (it’s big, bad, and you MUST own it! ), Freshwater Fly and Dinos Not Assembled! 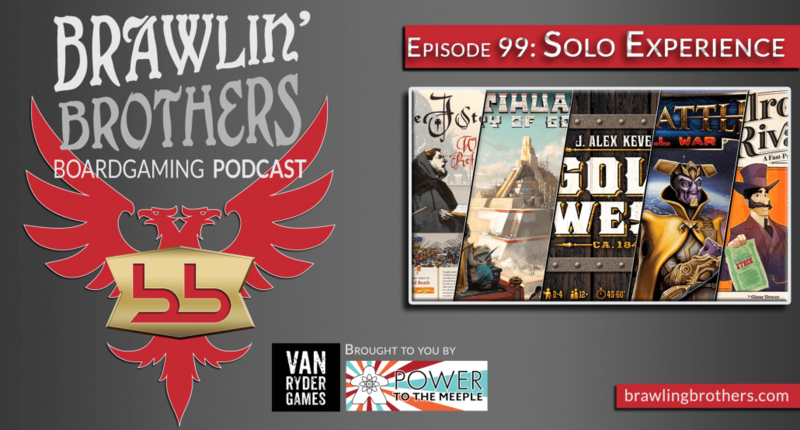 We go a different direction for our review this month – instead of digging into an exciting new game, we flash back on something from yesteryear and give Gold West from Tasty Minstrel Games the deep dive treatment. Receive FREE SHIPPING on any domestic order over $50 using coupon codes: TEAMJOSH or TEAMBRANDON – Usage of either of these coupon codes enters you into a drawing for a $50 gift card (to be drawn on or around May 1st). 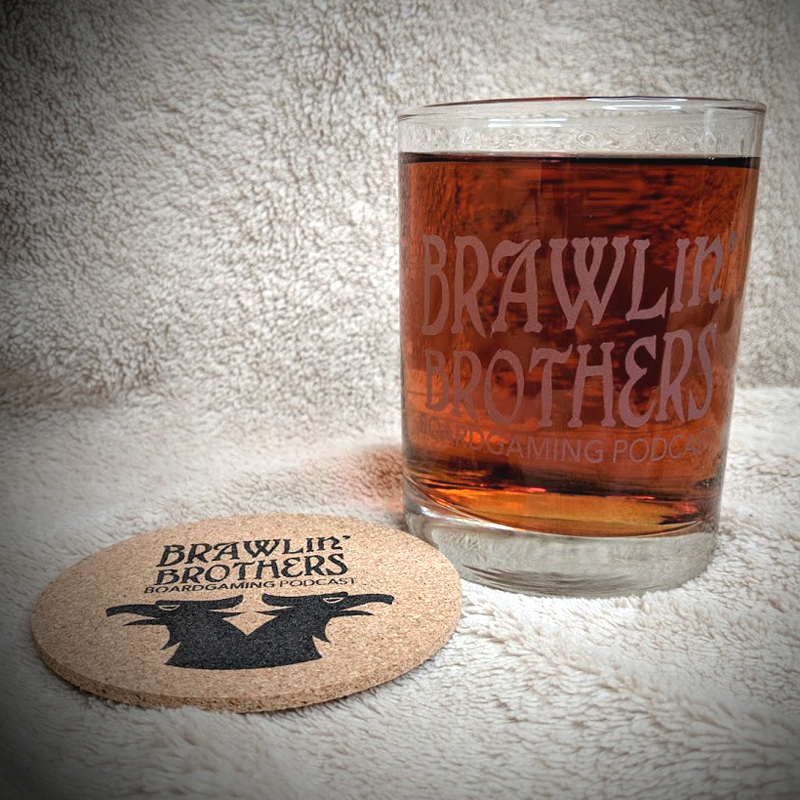 0:07:39 – VOTE for best podcast of the year = Brawling Bros! You can also find us on Spotify! 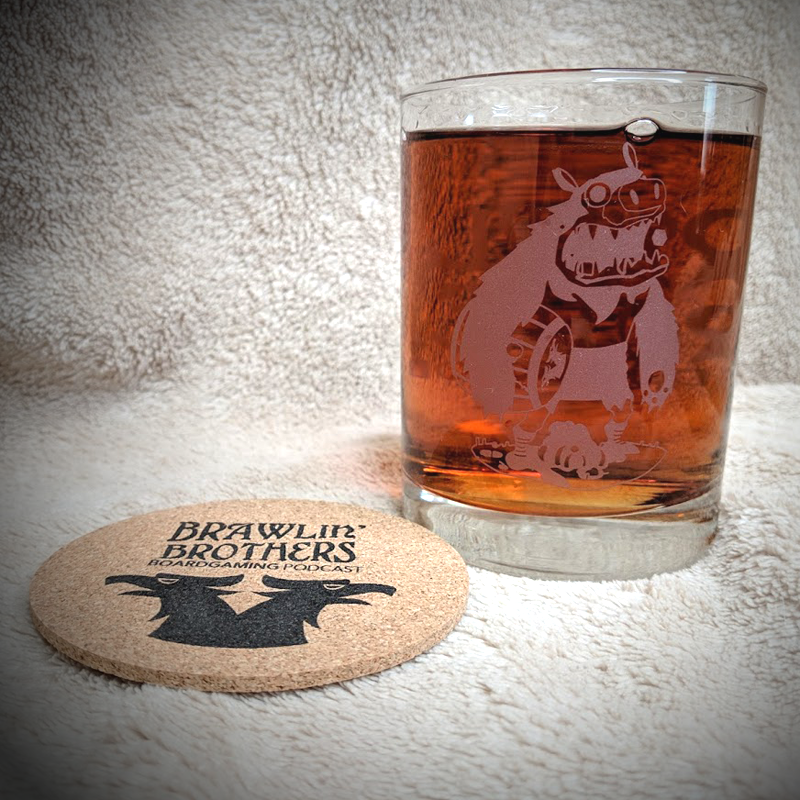 Purchase your LIMITED EDITION Brawling Brothers Lowball Glass and show you love for the brothers who brawl AND the notorious ManBearPig!